Quico says: El País of Spain is the only paper to have done some in depth reporting on the race for governor in Barinas. If you can read Spanish, don’t miss it: terrific stuff. 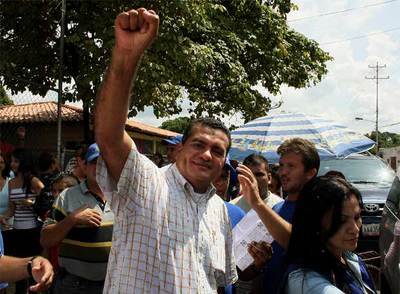 Wilmer Azuaje says the Chávezes are the biggest latifundists and capitalists in Barinas. He says old man Chávez used to own, in a town half an hour by car from the city called Camirí, a little farm called La Chavera, about 30 hectares before he became governor. “Now that little farm is 600 hectares” [about 600 football fields]. A bit frther on, by Isla de la Fantasía river, another member of the Chávez family has La Martinera, a 300 hectare ranch with a basketball court. Nacho also has another one in Santa Lucia, 700 hectares. One of Chávez’s nephews has another scandalous farm. But the biggest one of them all belongs to Argenis, La Malagueña, which is registered to Nestor Izarra, a longtime family employee, and comes in at no less than 2000 hectares.